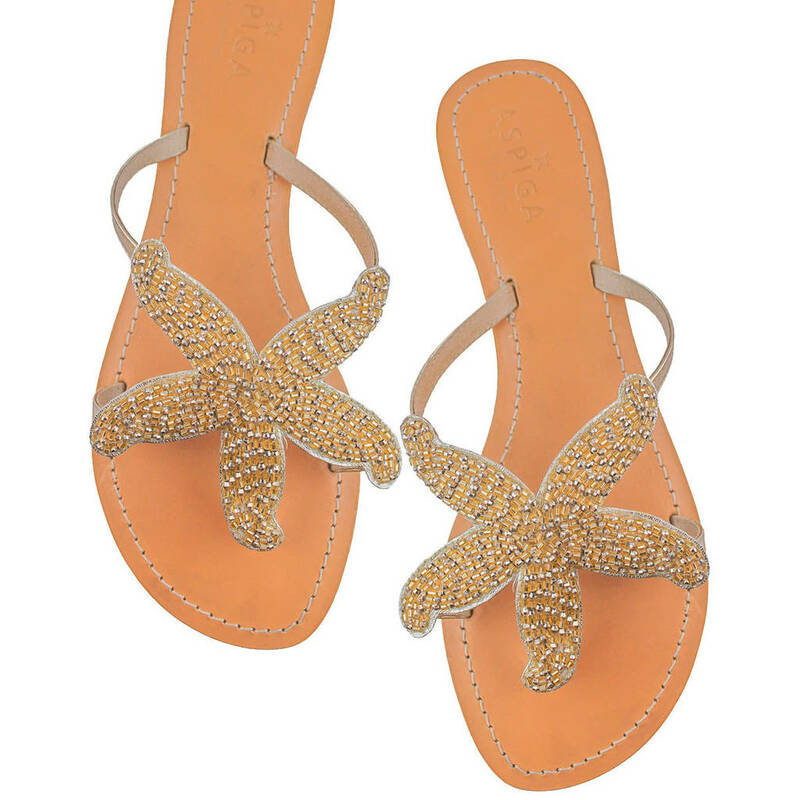 These beautiful beaded sandals by Aspiga feature a gold diamante starfish design. Handmade in India with a natural leather sole. 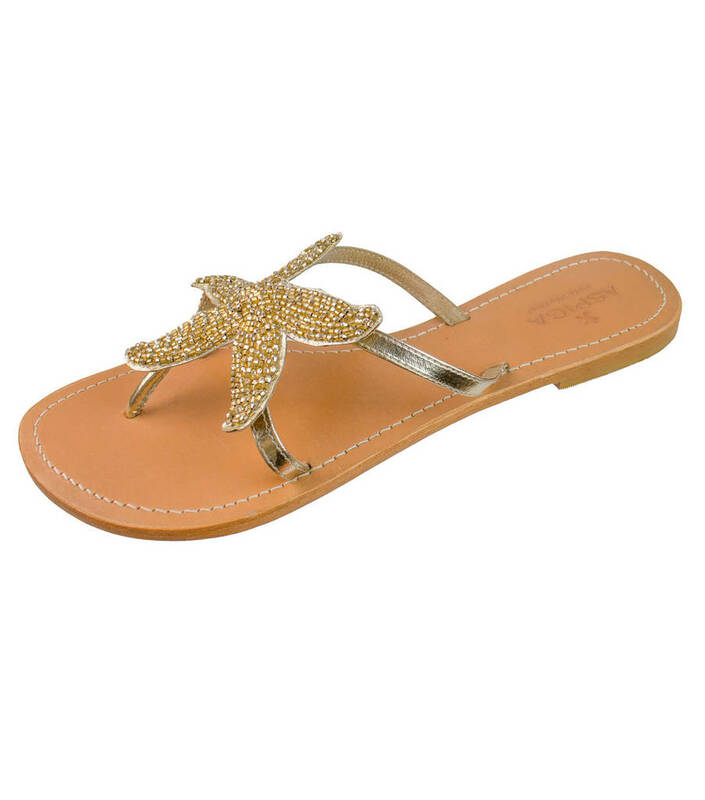 The sandals would be perfect for a beach wedding or beach holiday. Genuine leather upper, with contrast white stitching. Flat leather sole, with very small non slip heel. They are available in both silver and gold, coordinating perfectly with a variety of outfits and styles. Flat leather sole & upper with very small (0.25") non-slip low heel.